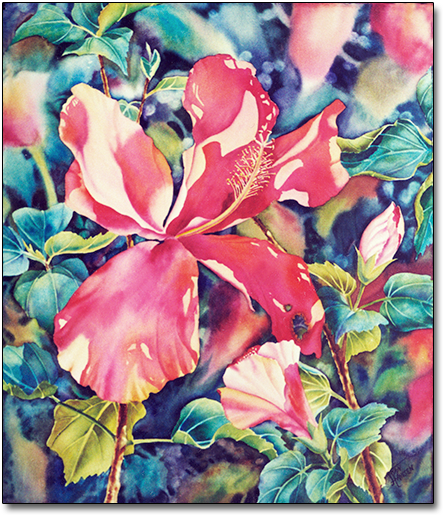 The artist expresses her love of light and shadow and soft and crisp edges in this watercolor painting of a sunlit hibiscus flower. This website will be updated when print information is available. If you are interested in a print of this image, please contact the artist.